Calling all female homebrewers... Whether you're a seasoned amateur or new to the hobby, this competition is for you! The Oregon Brew Crew, in conjunction with the annual SheBrew Festival, is holding their first homebrew competition for amateur female homebrewers. The entry deadline is February 17th. For more details, check out the news release below or visit the event's website. AHA/BJCP Homebrew Competition for amateur female Homebrewers, 21 and older. 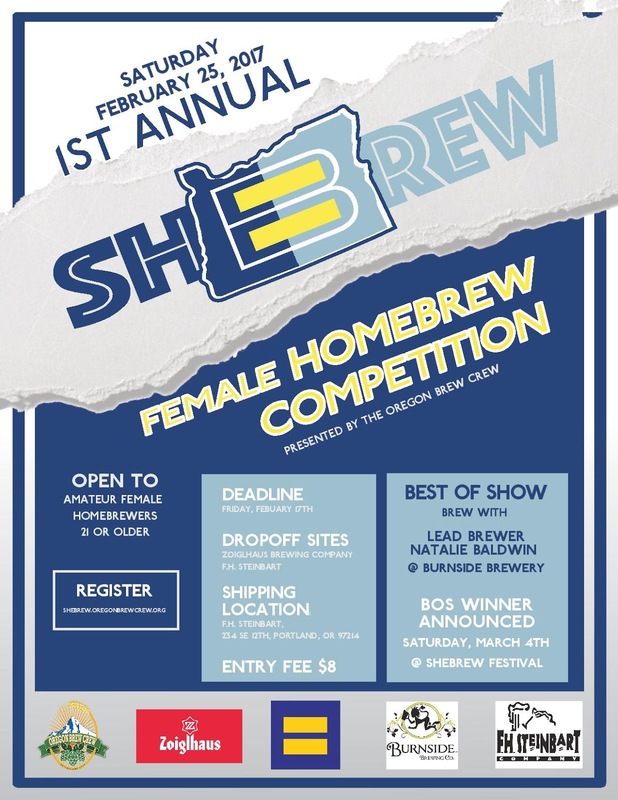 In conjunction with the annual SheBrew Festival which features tastings of homebrewed beers and commercially produced beers by local breweries, the Oregon Brew Crew is pleased to announce our first homebrew competition for amateur female homebrewers.